Before you create an asset, you need to know where your asset should best be located within the website's information architecture (IA). The IA is a hierarchical tree of assets, listed in columns or levels, visibly demonstrated by looking at the Asset Finder in Edit+. To create an asset in Edit+, click 'New' in the top left-hand button options. You'll be taken to the Asset Creation Wizard. 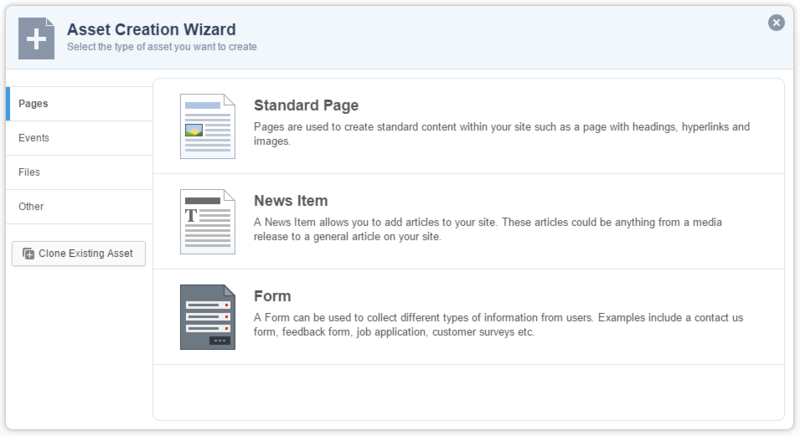 A broad range of assets can be created by using the Asset Creation Wizard. Link information (for Redirects). You can set links to asset numbers or urls for external links.